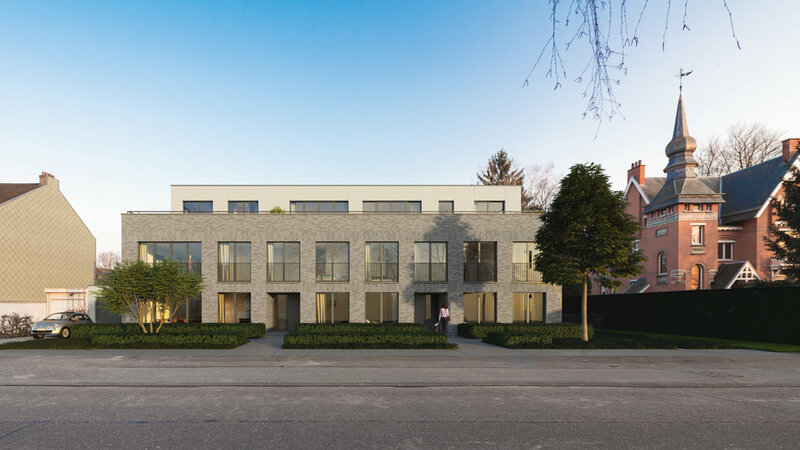 To visualize 10 new flats on the former post site in Ekeren. The postman is long gone, but on this former post site 10 brand new spacious flats are planned for construction, including sunny terraces, a big communal garden and an underground car park. For this beautiful real estate project, we went all out for inspiring atmosphere with exterior and interior visuals, and a stunning video. As the camera hovers over the communal garden, you can already see the barbecue smoking and the grass swaying in the breeze. In the background, the sunny terraces stand out, and as you enter the flats, the light pouring in catches your eye. Big windows, wide spaces and detailed, high-quality materials set the tone straight away. This is where you want to be, this is home.